I’m going to be honest with you... I wish this design detail had a sexier name. It gives your home fabulous character, it can help cover up structural gaps, and it raises your ROI when it comes to resale. No, not the molding that gifted humanity penicillin. It’s the kind that dresses up walls and corners, doorways and windows, staircases and ceilings. The kind that makes you stop and stare at a room, even if you’re not quite sure why. Several beautiful examples of molding… all in one fabulous dining room. 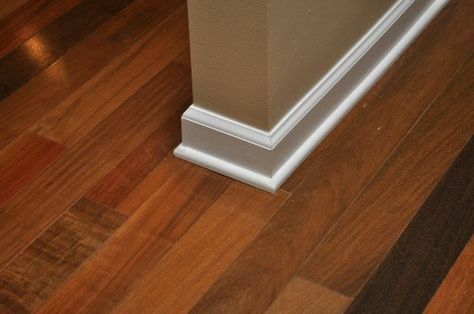 What are Some Popular Types of Molding? I’m so glad you asked, because there are MANY different types of molding. Don’t let the names confuse you — take a look at the styles to see which speak to you most. 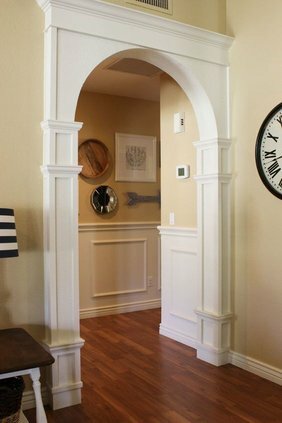 Cornice Molding: creates a decorative transition between walls and ceilings. Cornices are often combined with other moldings to form decorative mantels & frames (source). 1 | Scale is important. In a larger room, it’s better to go big and bold versus slim and skimpy. Plain, slender molding might look wonderful in your friend’s home office but could disappear completely in your master bedroom. 2 | Molding should be consistent with the architecture of your home and the style of your furnishings. For example, Craftsman style homes consist of simple square shapes and lines, which your molding should reflect. Victorian style homes, however, are perfectly compatible with molding that’s full of ornamentation. 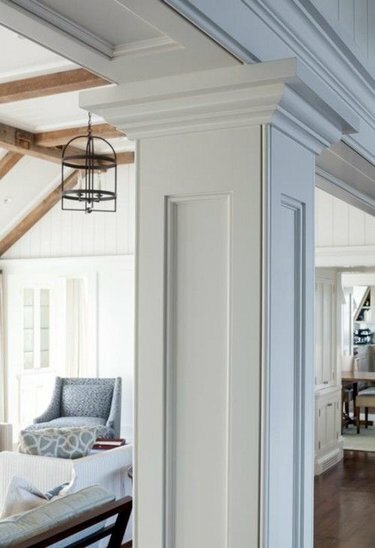 3 | Trim can be stunningly painted to contrast with your walls. White is popular and provides a crisp look, especially if your walls are darker (see example below). Or, trim can be painted the same color as, or complementary to, the walls, like the example above. It’s up to you! Note: If you need a design consultation for your space, but you don’t want a full-service design package, our GoDesign service might be perfect for you. That’s it for this month. I want to take this quick moment to thank you for following along with us in 2018. We can’t wait to bring you even more style, savvy, and B&A transformations in the New Year.